Social media platforms continue to be a great way to strengthen a company’s brand through awareness and audience engagement. Snapchat provides a platform to do all of these things while also adding the elements of urgency and exclusivity. Here are a few reasons why you should consider adding Snapchat to your social media marketing mix. Snapchat has a huge and desirable audience. Snapchat has become increasingly popular over the past five years since its launch in 2011. The app reaches the elusive Millennial market – 41% of all 18- to 34-year-olds in the United States, according to a survey conducted by Nielsen. Snapchat offers different advertising options to fit your company’s goals and budget. Snap Ads build brand awareness. The ads are 10-second, full screen videos that appear in between users’ Snap Stories and allow users the option to swipe up on the ad to view more content, like a more in-depth video, mobile website or an app install page. Snapchat Geofilters help promote local audience engagement. Brands can create art graphics that appear over Snaps when users are in a specific location. Perfect to promote an event while getting your audience involved! Snapchat Sponsored Lenses can drive increase in purchase intent, according to case studies by Snapchat. Sponsored Lenses are interactive filters (that also act as ads) that appear over the user’s face. As explained by Snapchat, “To activate Lenses, Snapchatters simply press and hold on their faces. Some Lenses include prompts like ‘raise your eyebrows’ to trigger an animation, adding a fun twist to the experience.” Lenses offer a playful way for users to interact with the ad and spread brand awareness by sending to friends or posting to their Story. Snapchat gives your audience a behind-the-scenes, more exclusive look at your business. Snapchat’s advertising options vary when it comes to cost. On-Demand Geofilters, which can be used for location specific events like a house party or wedding, are relatively inexpensive and start at $5 per post, while Sponsored Geofilters, which are available to everyone and not location specific, can cost hundreds of thousands of dollars. Even if your company doesn’t have thousands of dollars for Snapchat Ads, you can still boost brand awareness and audience engagement by simply telling a great story. Try making exclusive content only for Snapchat and invite viewers to see a “more authentic” view of your brand. You also can interact with your audience right there in the app – instantly answering questions and addressing comments. Are you interested in trying Snapchat for business? 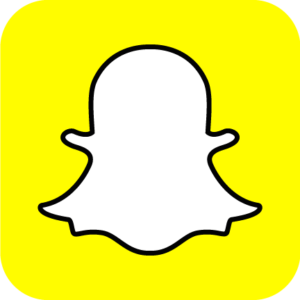 c21 can help you create a Snapchat marketing strategy and set up your first Snapchat ad campaign!